You know you’ve made it when Mark Zuckerberg invites you to Facebook’s headquarters. 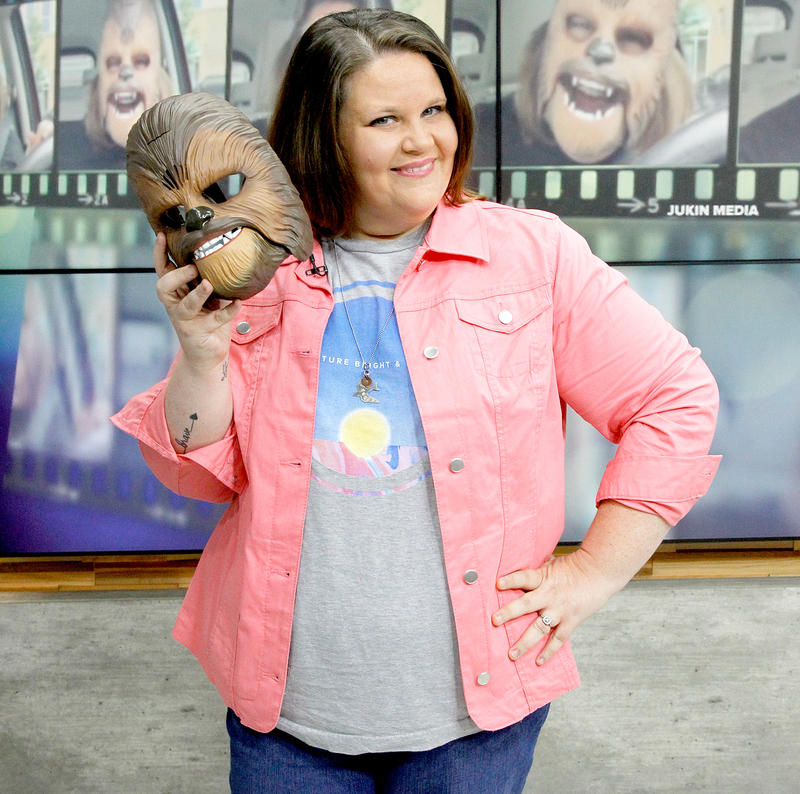 Chewbacca mom Candace Payne, who broke Facebook Live records with a viral video of her infectious laugh last week, visited the social media site’s corporate office — and got a huge surprise! On Tuesday, May 24, Payne stopped by Facebook’s HQ in Menlo Park, California, where she hung out with Chewbacca himself. “We invited Candace Payne — whose Chewbacca mask video got 141 million views and is now the most-watched Facebook Live video ever — to come by Facebook HQ today. And we had a fun surprise for her!” Zuckerberg, 32, posted on his page, along with three fun-filled pictures of the viral star and the iconic Wookiee. In the pics, the duo are seen riding their bikes together, chatting over a cup of coffee and even posing with a Facebook sign outside the building. The Texas mom has been making the most of her internet fame since she posted the video on Thursday, May 19. Earlier this week, Payne took James Corden to work in a hilarious sketch on The Late Late Show. “I’m such a happy Chewbacca!” she exclaimed before bursting into laughter. Star Wars: The Force Awakens director J.J. Abrams also made an appearance during the skit. The mother of two also stopped by Good Morning America for an interview on Monday, May 23. “I feel like I deserve a gold medal, just to say that I actually have broken a record that deserves maybe a podium and a whole song and maybe some flowers,” she joked of her recent stardom.